It’s cold in Chicago! Really Cold! And tomorrow, it will be even colder. Therefore, for the comfort and safety of all of our guests, employees, volunteers, and kitties, Tree House will be closed tomorrow, January 30th, 2019. We will reopen for normal hours on Thursday. Keep the cats protected from the wind. Make sure tarps are pulled all the way down on all sides of their shelters. Create a wind break using a sheet of plywood, if necessary. Put old blankets over the tops of (never inside of – moisture can cause the material to freeze) the shelters for added insulation. 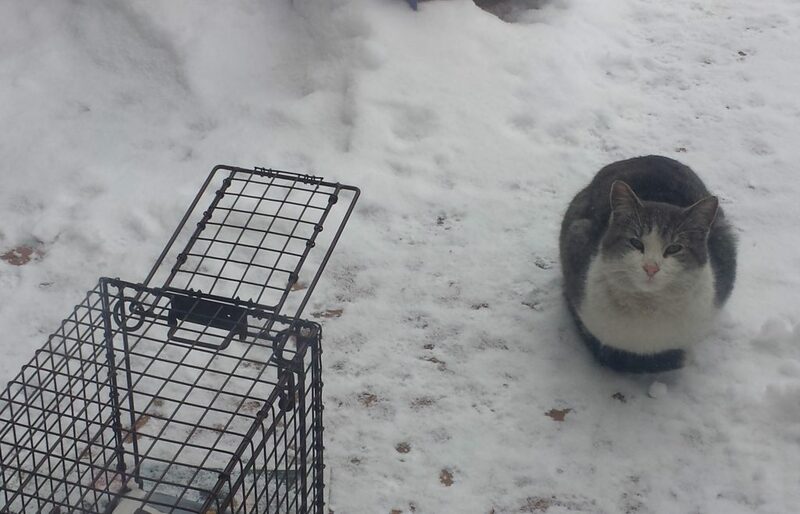 Be careful not to startle the cats out of their shelters and into the bitter cold. They may not have a warm hiding place to run to. If their food keeps freezing, use dry kitten food as a substitute until temps warm back up. You can also add extra heat with a heating pad (Tree House sells them!) or, if you don’t have access to electricity where your shelter is, a microwavable disk that stays warm for a few hours. Rest assured, all of our furry charges here at Tree House Humane Society will be well cared for and warm, with full bellies and happy faces. They (and we) look forward to seeing everyone when things warm up. Until then, please stay toasty and give your kitties some extra snuggles! And if you don’t yet have any kitties, you know where to get some when you’re ready.